Dreamworld Level 345 guide and cheats. This level have normal difficulty and you need to play with good strategy to complete this level. 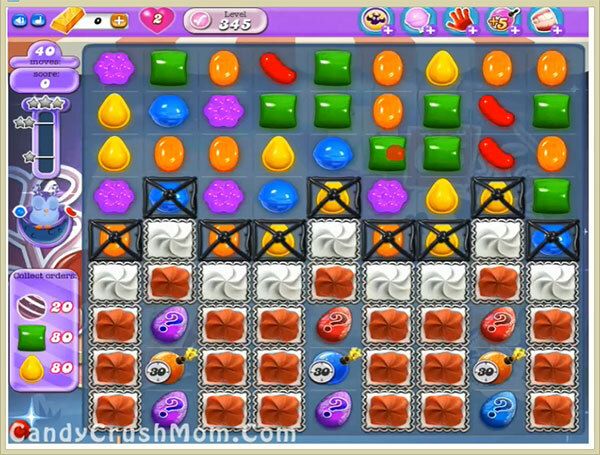 For this level try to break orders candy and make wrapped candy and break them to reduce order candy without unbalancing the Odus owl. After try to make special candy as you get chance and wait till moonstruck and then use special candies like colorbomb to break more candies without unbalancing the Odus owl to reach requirement. We completed this level with 363280 score using the same strategy that we share above and got three star score at the end of the level.